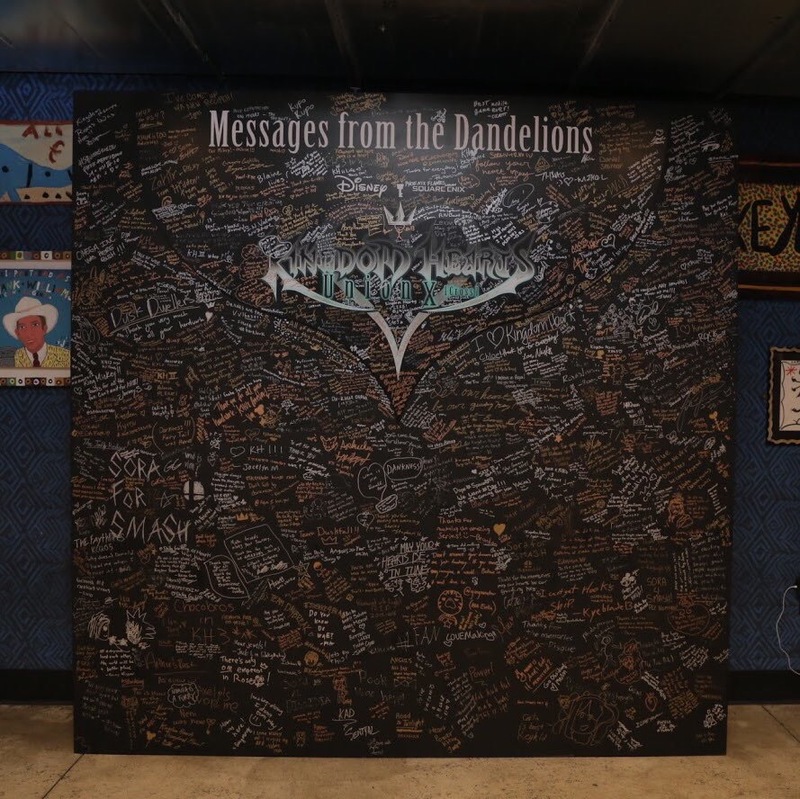 When I bought my ticket to attend the first ever KINGDOM HEARTS Union χ[Cross] Dandelion Meeting, I had never been to the House of Blues in Anaheim, California before and I had only been playing KINGDOM HEARTS Union χ[Cross] for about three weeks. And to be honest, when I got there, I was a bit underwhelmed. The security line into the House of Blues was extremely long, and I wound up waiting for about half an hour to get in. Luckily, that was the last time for the entire KINGDOM HEARTS Union χ[Cross] Dandelion Meeting that I would be unhappy. Where the KINGDOM HEARTS Union χ[Cross] Dandelion Meeting was held this year, later on in the evening. (Image taken by me). Once I was finally inside, I was greeted by tons of KINGDOM HEARTS Union χ[Cross] artwork. It covered the walls and the stairs, and it even was framed in the bathrooms. 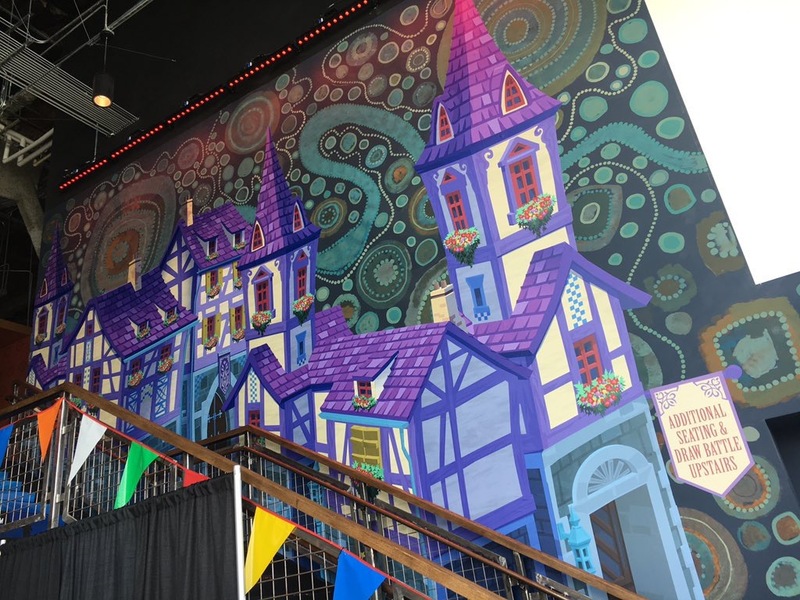 It was fascinating to see so much artwork that spanned from concept art to hand-drawn sketches to stand up marquees (I’ll be scattering photographs of them throughout the rest of this piece). 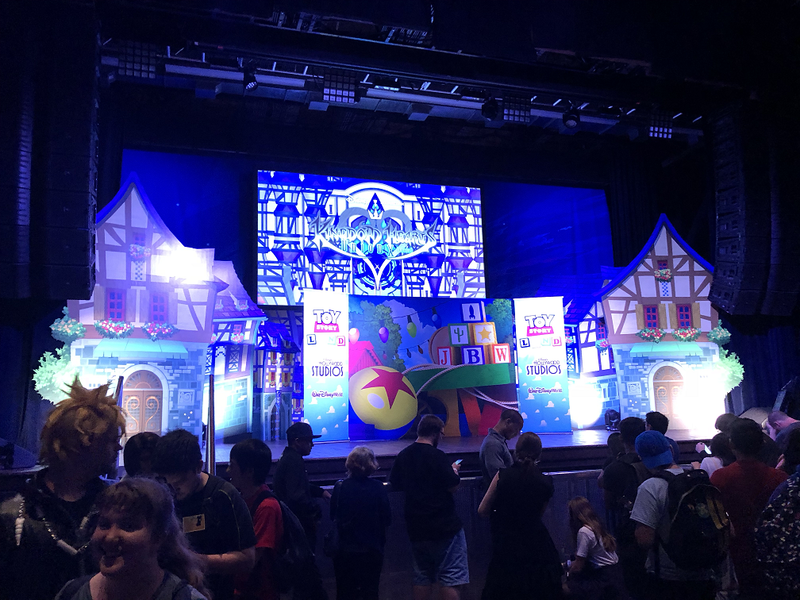 It really added a flavor to the Dandelion Meeting and set the tone that this is not so much a general KINGDOM HEARTS event as much as it is a event dedicated to the fans (old and new) who have fallen in love with KINGDOM HEARTS Union χ[Cross]. Once I got onto the main show floor, that was where I felt that the meet-up truly began. 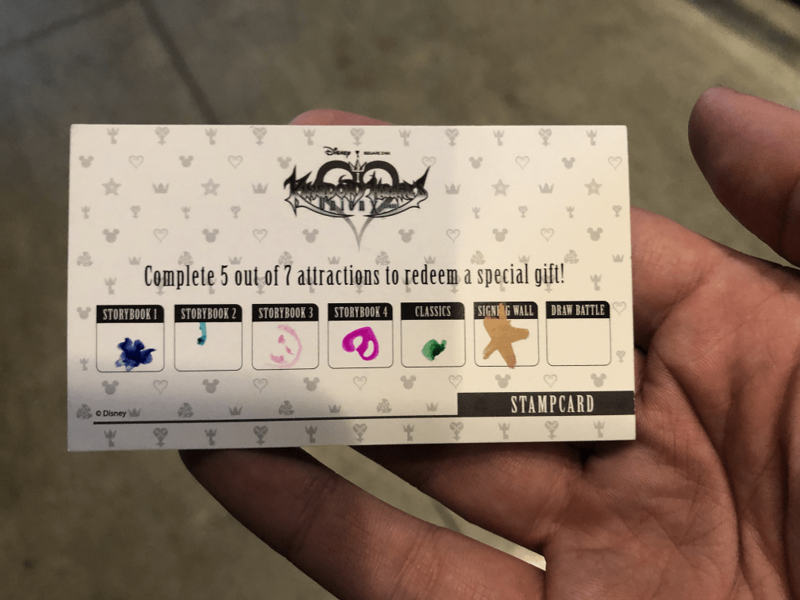 During the event, we were all handed stampcards and told that when we complete five out of the seven ‘attractions’, we would get a special gift. The front and back of my card from the KINGDOM HEARTS Union χ[Cross] Dandelion Event 2018. I had already gotten all of my required stamps by this point. (Images taken by me). 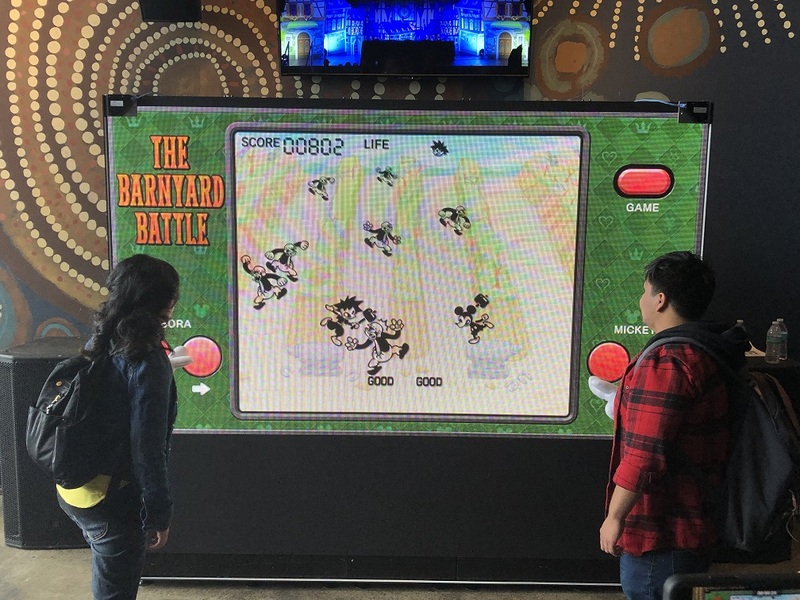 I myself got to try (after a winding line) The Barnyard Battle. 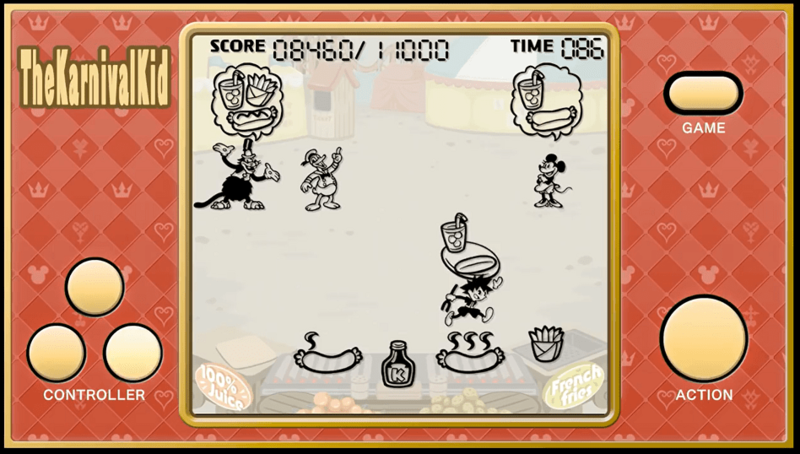 Honestly, it is definitely a reflex-based game that did indeed fit the category of games from ‘yesteryear’ and was fairly amusing for the five minutes that I was given to play it. 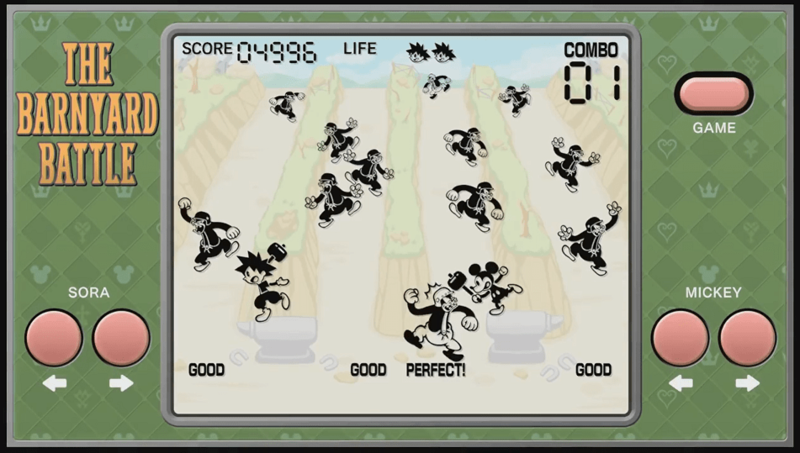 The goal was simple: hit the action direction for Sora and Mickey as an enemy descends down one of the two sides that they are on. Hit it too early or miss one, and you lose a life. 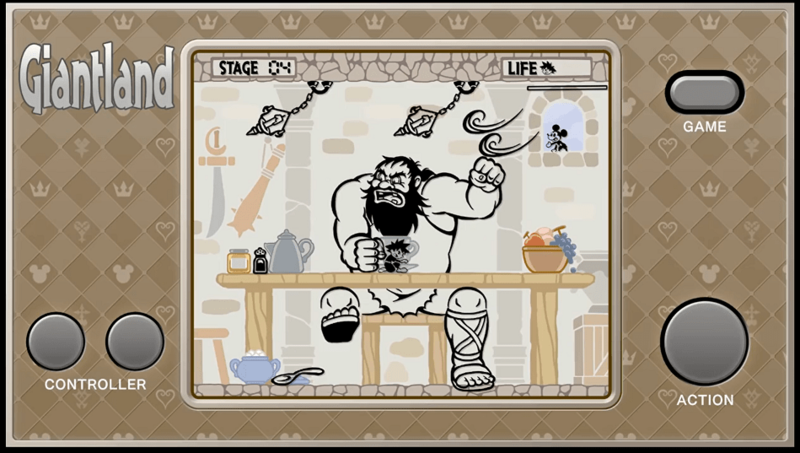 As you get deeper into the game, the enemies come faster and faster. I didn’t get a chance to play, sadly. (Image taken by me). Some more art. The framed piece was actually posted in the Men’s bathroom. (Images taken by me). After a short bit to let people chat and do some of the activities, the first of two panels, the Art & Design panel, was held. 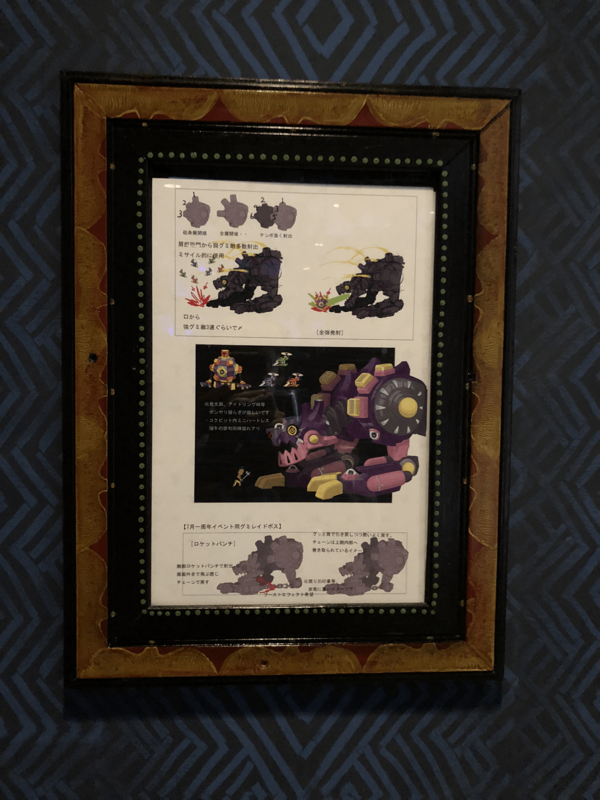 Present was Art Director Tatsuya Kando, Main Designer Mayumi Okamoto, Character and Avatar Designs Designer Miko Yamashita, Heartless Artist Sara Shimokobe, Art Designer for KINGDOM HEARTS III and KINGDOM HEARTS Union χ[Cross] Diago Tsukada, Background Designer Aki Igarashi, and Cutscene Lead Megumi Yamamoto. 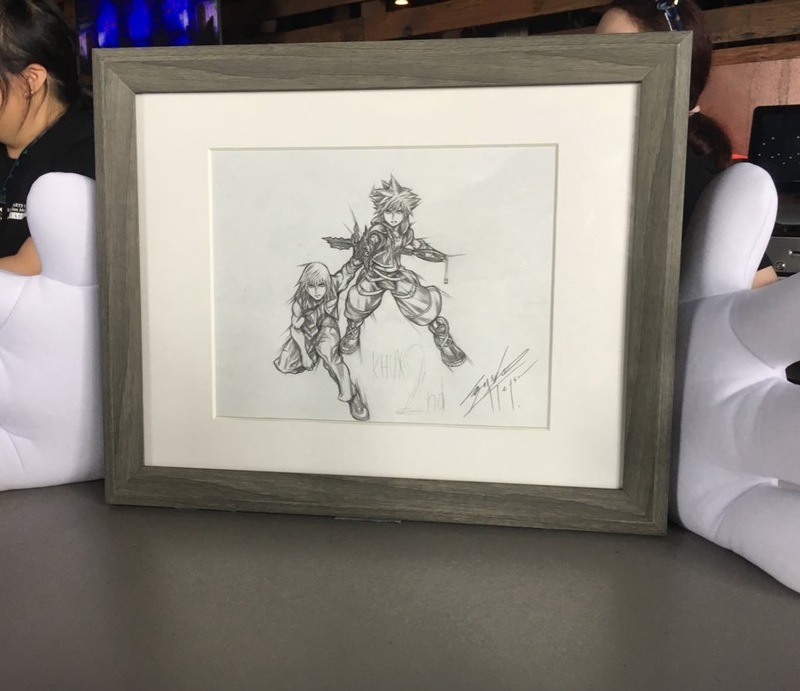 The panel was actually pretty amazing, as we got a glimpse into the upcoming Enchanted Dominion storyline and they answered questions from the fan community about the art and design of KINGDOM HEARTS Union χ[Cross]. 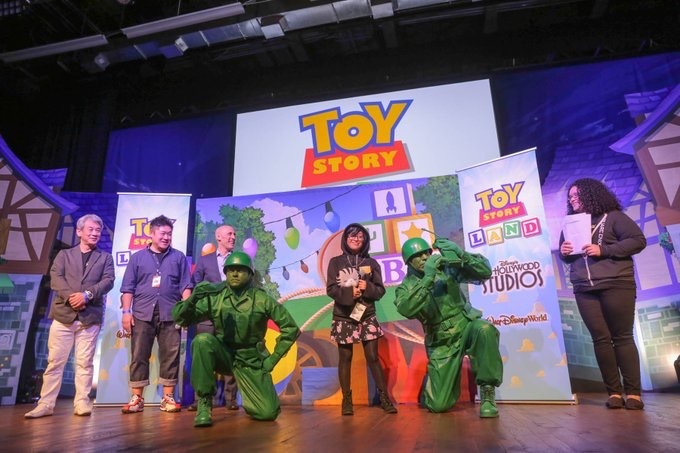 Producer Hironori Okayama announced that KINGDOM HEARTS Union χ[Cross] would have a global exclusive event with Toy Story Land for the North American players of KINGDOM HEARTS Union χ[Cross]. The audience absolutely ROARED at this announcement. As a side note: they also showed a trailer for Toy Story Land…that didn’t actually show any of the actual park. 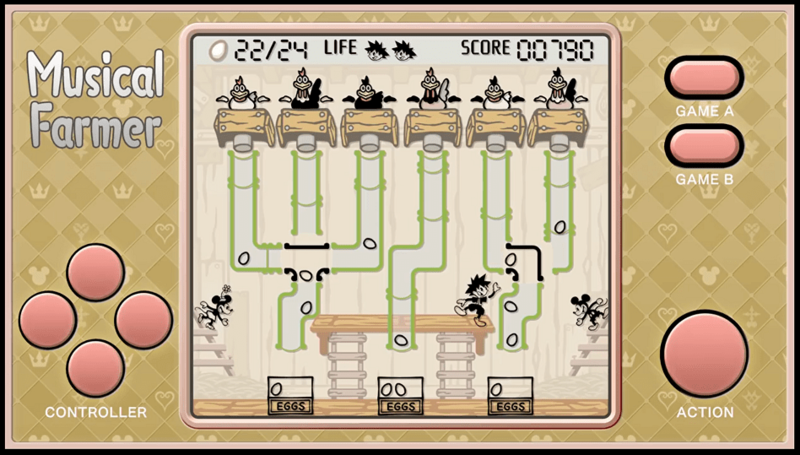 They were pretty cool, though I would have liked some in-game jewels instead. (Image taken by me). Finally, the main event, the KINGDOM HEARTS Union χ[Cross] Developer Panel, happened. Up on stage was Art Director Tatsuya Kando, Producer Hironori Okayama, and KINGDOM HEARTS franchise director Tetsuya Nomura. 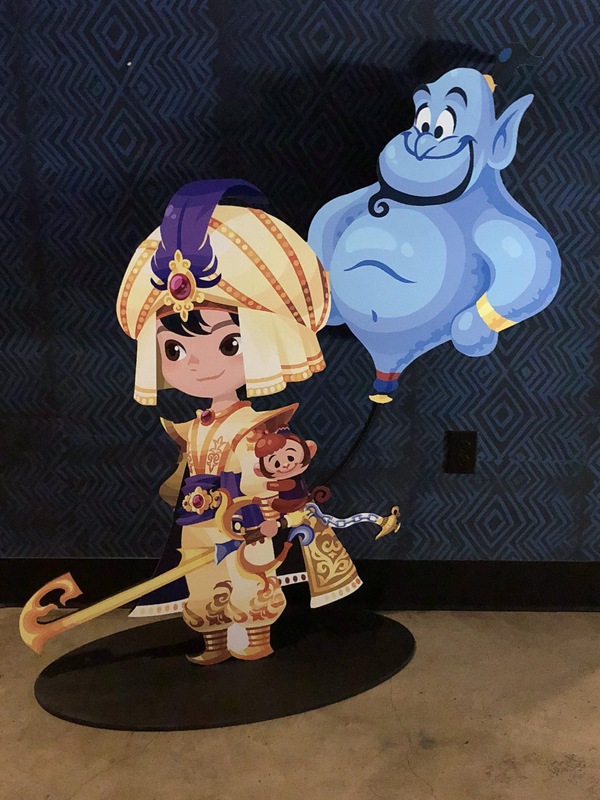 They talked about upcoming content and changes to KINGDOM HEARTS Union χ[Cross] that included a new PVP mode and about newly announced upcoming 7-star medals. 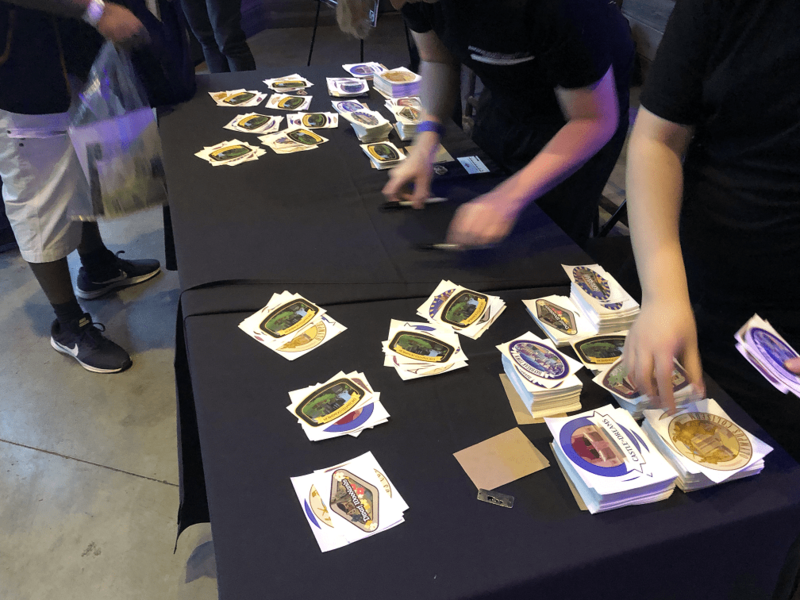 The developers also answered questions from the community that were previously posed in a reddit thread. 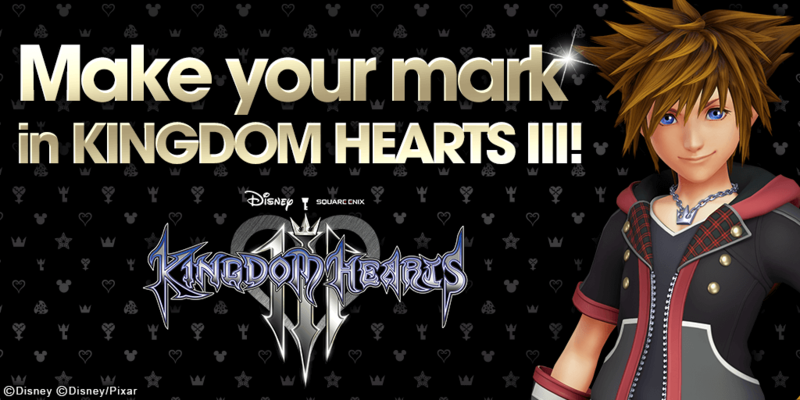 One of the biggest announcements, however, was the Make Your Mark event within KINGDOM HEARTS Union χ[Cross]. In this event, three-hundred players of KINGDOM HEARTS Union χ[Cross] will get their Player Name included in KINGDOM HEARTS III. 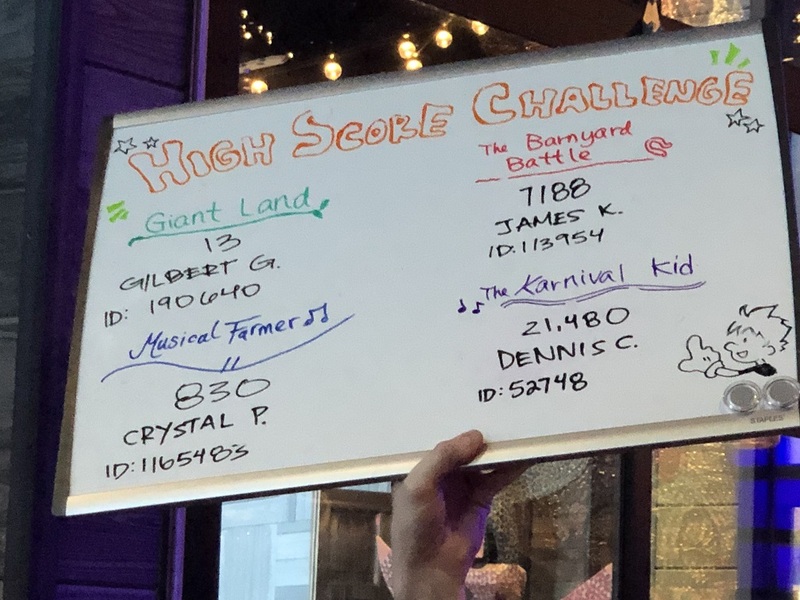 Though there are three ways to enter, they only talked about one at the event, which is the High Score Challenge. The other two ways to get entered are to log in on specific days to get a particular Moogle Medal, and to have multiple over-all logins. (Images owned by Square Enix). You can find more details about Make Your Mark and how to enter here. I was pretty bad at that game. (Image taken by me). The upstairs part of the House of Blues didn’t really have all that much going on, since everything was pretty focused on the main floor. (Images owned by Square Enix). So what did I think of the first-even KINGDOM HEARTS Union χ[Cross] Dandelion Meeting? Honestly, I LOVED it. It was awesome to get to interact with fellow-players of the game and to see so much concept art everywhere. 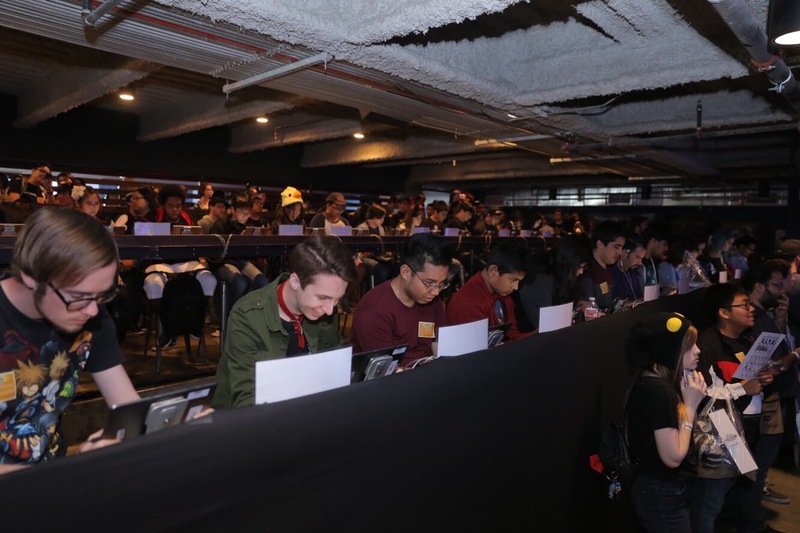 The panels were actually informative and you could tell that the community team present wanted to make sure that everyone had both a good time and that relevant questions were answered about the future of KINGDOM HEARTS Union χ[Cross]. The energy when the developers took the stage for the final panel was something that reminded me of a huge music concert, and it is something that is honestly hard to put into words. It was, in other words, worth it to attend and find out more about this game. That being said, my biggest issue was that I wish that security to get into the KINGDOM HEARTS Union χ[Cross] Dandelion Meeting was better organized and that there were more security stations, as it took well over a half-hour for me to get in. This, in-turn, delayed the opening ceremonies as a result. 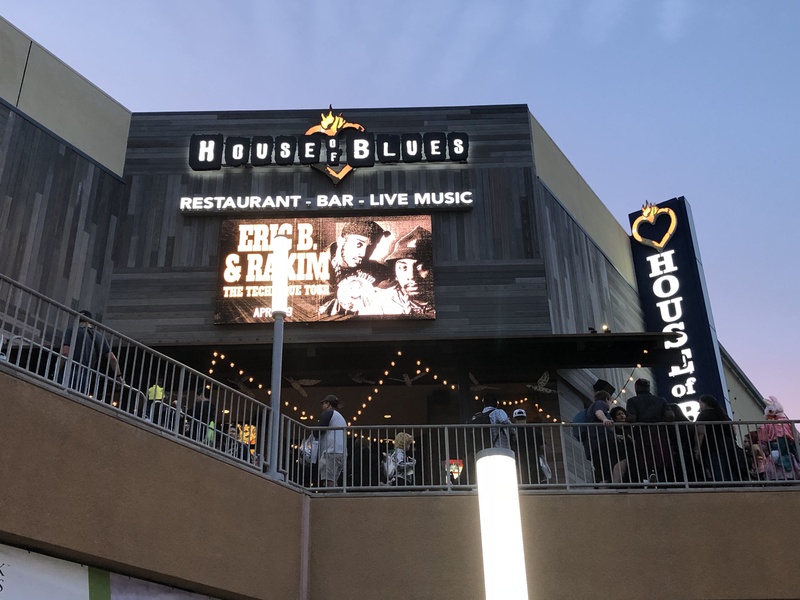 It was not a big deal ultimately, as we were free to come and leave the House of Blues as we wanted during the event, and after the big initial rush of people, it was not hard to get back in. 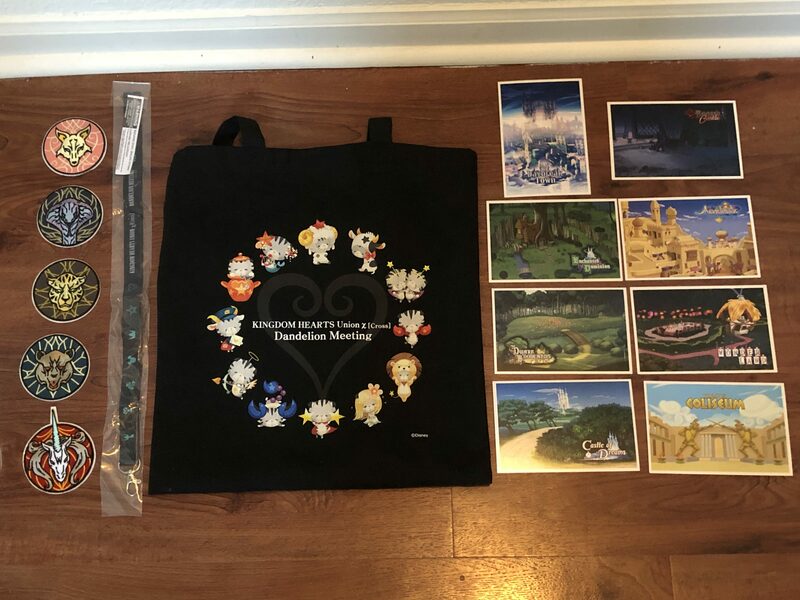 Second, I wish that there was some exclusive KINGDOM HEARTS Union χ[Cross] Dandelion Event merchandise to purchase there at the event. Everything that was available to buy looked like it was also available on the SQUARE-ENIX Store. 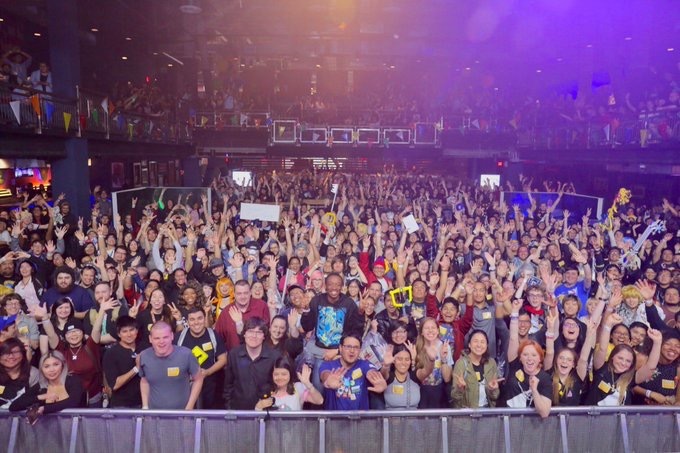 Everyone here had an amazing time, and it is not hard to say that I personally felt like I belonged to the KINGDOM HEARTS Union χ[Cross] community. 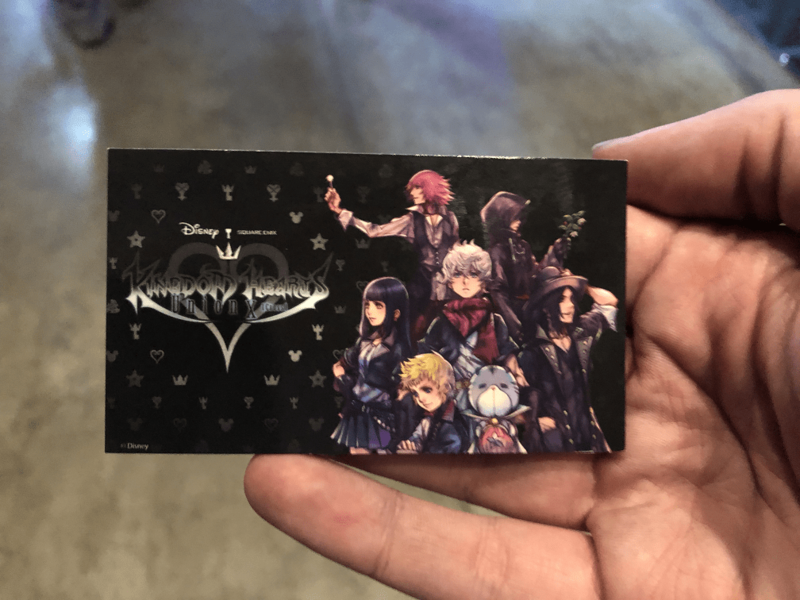 I will be attending the next event (this seems like it will be a yearly event) as a result, and I cannot wait to see what SQUARE-ENIX has in store for us next. With all that said…Anguis represent! What Union do you belong to? 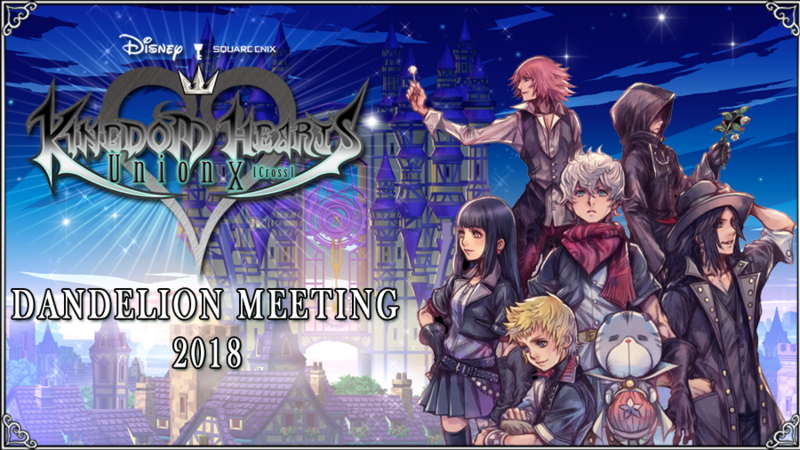 Do you want to attend the next KINGDOM HEARTS Union χ[Cross] Dandelion Meeting?